Advisory: Contains sexual violence and harsh language. This book contains bonus material, an alternate ending that begins at Chapter 49 of the original novel and takes the story in a different direction. It’s true that most of our novels lean toward the suspenseful, although we’ve explored other genres in our short story collections and in our novel, Tangerine. There is a theme of darkness that runs through our suspense books. The one thing we try to do is to bring our scenes to life with all aspects exposed. Read a lot, and write a lot. Believe in yourself. Also, don’t be afraid of revision. All good writers proofread, edit, revise, etc. Remember, the first draft is not the final version. Wodke Hawkinson is the name under which writing duo K. Wodke & PJ Hawkinson produce their co-written works. Wodke Hawkinson has published five novels and three short story collections. Karen and PJ live in different towns and do much of their collaboration via phone and email. 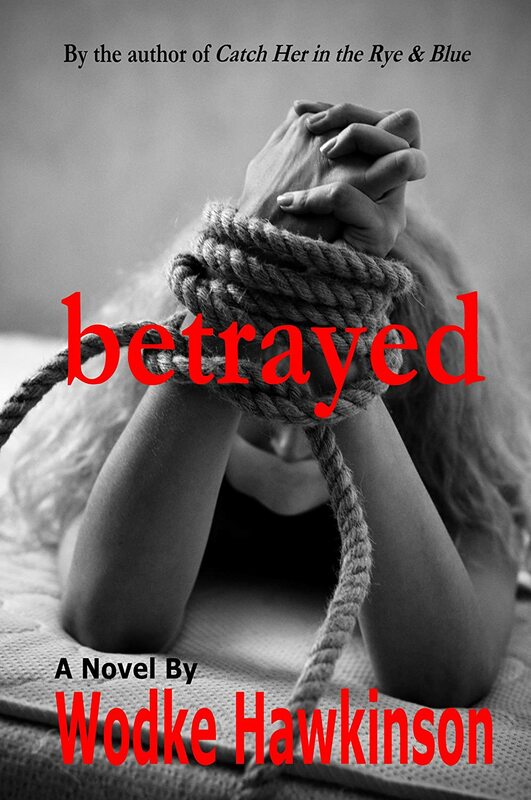 Betrayed started out as two different ideas. The more we discussed our separate ideas, the more we realized they belonged in the same book and that our two main characters needed to meet.